An IT service provider focused on serving the needs of small businesses in the UK. We pride ourselves on offering a full range of services to meet the needs of today’s flexible business practices, allowing clients to operate more efficiently. The most important factor for us when looking for an office space was access to high speed internet to ensure we could meet customer demands quickly and effectively. Following this we wanted somewhere with a pleasant environment, affordable rent and easily accessible car parking. 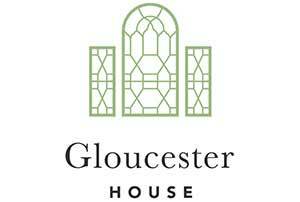 Initially we were drawn to Gloucester House because of the high-speed internet available with the office package. 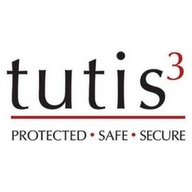 The fact that the internet provider was also based in Gloucester House gave an added bonus so we knew there was someone available to deal with any issues we may have in the future. Free car parking for the team, subcontractors and visitors was another tick and a welcoming environment to bring customers. We take pride in bringing customers into our office for meetings and the free onsite parking facility makes it a simple and stress-free process for them. The high-speed internet meets our needs of handling large files across the UK and Europe. We were looking for an office space to add a company presence in Stockton. When looking for an office space we found it a challenge to find the right space for a large number of individuals who work at a fast pace, along with the right technology. We required a building that would provide a luxury experience for our clients and colleagues when visiting for meetings and appointments. We provide a bespoke and tailored service to our clients and our location needed to represent that also. It ticked all the above boxes! The 2 offices we have offer fantastic space, along with quality facilities that make this a brilliant place to work. The atmosphere and feel of the building from the get go was exactly what we were looking for, along with a great location for both staff and clients to access. Gloucester House has met our expectations and more! There are lots of benefits we have found from being based in Gloucester house; the facilities in the building, not only our office space, but that of the meeting rooms, conference room etc. Break out areas for coffee and quick chats with clients. The car park is an added bonus, appreciated by all and the location of the building is great. Not forgetting the support from the Gloucester House Management team, from reception, to technical issues and assisting with DIY to make our offices as functional as they can be. Gossip Fashion & Lifestyle Magazine is a North East England based business to consumer magazine distributed to over 14'000 ABC1 homes covering Teesside. We wern’t just looking for an office that fit our needs in regards to the right size, location, parking and internet, “which in most cases previously viewed they didn’t tick all the boxes”. We also wanted somewhere that had a good feel factor about it, were our landlord took on board issues as and when they were risen, so staff could go out for lunch. It ticked all the boxes! Situated in the heart of Stockton, in walking distance from the high street and the building was immaculate. Various boardrooms available for hire down the corridor, free parking and kitchens/breakout rooms at our disposal. We received a friendly welcome from the team running Gloucester House and the landlord goes above and beyond for everyone. The team is on hand to help any day of the week and the building is extremely well kept. We enjoy monthly tenant networking which gives us a great opportunity to meet other businesses which are also based here and we feel we are part of a community. Since joining Gloucester House, Gossip Magazine’s team has doubled in size.